May be stacked to a maximum of 18 ft. when a set of 4 outriggers and a guardrail kit with toeboards are installed. 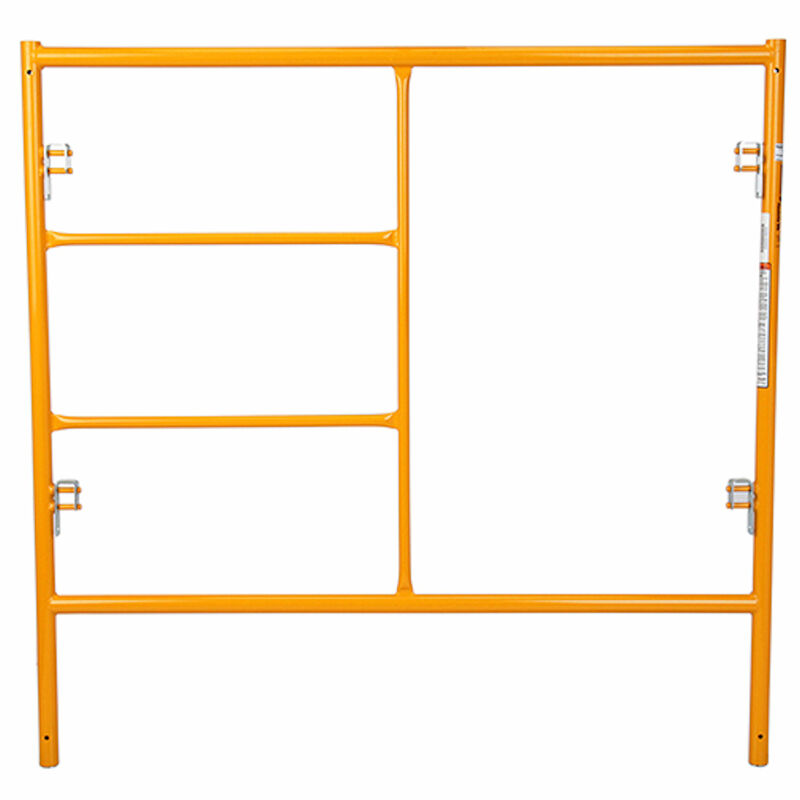 29-1/2” Wide End Frame Access Ladders, providing safe access to work platforms. The narrow width allows Nu-Wave scaffolds to roll through standard commercial doorways without dismantling. 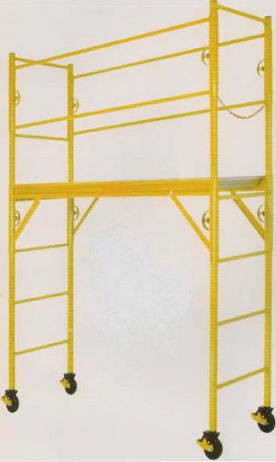 One person can assemble a basic Nu-Wave scaffold quickly without tools. One person can also adjust platform heights in 4 in. increments in seconds. is the only Authorized Manufacturer of Perry scaffolding products and guarantees complete compatibility and 100% interchangeability of not only stacking units but all components!